Home » Food » Food Review: Ginza Lion Beer Hall at Suntec City | The $50 buffet all beer enthusiasts must-go! Food Review: Ginza Lion Beer Hall at Suntec City | The $50 buffet all beer enthusiasts must-go! The Place Set in the recently refurnished Suntec City, the latest branch of Ginza Lion Beer Hall in Singapore looked what seem to be the largest restaurant to open locally in recent times – Ginza Lion looks ready to play host to events and large-scale gatherings. Fun Fact #1: Ginza Lion Beer Hall started in Ginza Tokyo back in the 1899! Initially meant to serve just their Sapporo beer, this chain found it’s calling as a restaurant shortly after and have since mushroomed to more than 200 branches across Japan. In Singapore, Ginza Lion has two outlets now, at Suntec City as well as at Rodyk Street. The Food If you can drink, and by that I meant beer, then this is the buffet for you. Trust us! At $50, you will be enjoying the Ginza Lion’s Signature Plate, a la carte Buffet and the Beer Buffet! Of course, this is a time limited buffet for 2 hours. So make sure you drink lots and, drink fast! The Signature Plate will be served to kick-start the lunch buffet, consisting of Roast Black Angus Beef, Pork Ribs, Chicken Wings, Edamame, Cumberland and Arabiki Sausage and Mashed Potatoes. It sounds filling enough that you may not even have space for the remaining items on the a la carte buffet! But surely, since it is a buffet, I am sure most of us will find space for more. And that brings us to the a la Carte Buffet which includes Japanese Appetizers (Adamemer, Asazuke, Tako Kyuri), Beer Snacks (Beer-batter Fried Fish, Grilled Chicken, Fried Calamari, Truffle Fries and Baked Mussels), Soup and Salad (Mushroom and Onion Soups, and Caesar and Smoked Salmon salad), Spaghetti (Bolognese, Carbonara, Aglio Olio), Sides (Mashed Potato, Sauteed Corn, Curry Sauce with Rice) and the list goes on. The highlight of the buffet for many, the Beer Buffet (aka Drinks Buffet) includes free flow Sapporo Premium Beer, Konig Ludwig Dunkel, Konig Ludwig Weissbeir, both red and white house wines and for the non-drinkers, Cole. Spite, Ginger Ale and Iced Oolong Tea. The Ginza Lion Buffet Feast is available every weekends and Public Holidays during lunch hours (12noon to 3pm) at the Ginza Lion Suntec City branch. For adults, the buffet is at $50 per pax, and only $20 per child (under the age of 12). Rants Don’t expect top notch food here though, but it does go well with a drink or two! Will I return again? If you are looking for one of the best value-for-money deal in town, this will most likely give you the most bang for your bucks! At $50, you probably can afford to throw a small treat and drink to your heart’s delight at Ginza Lion. 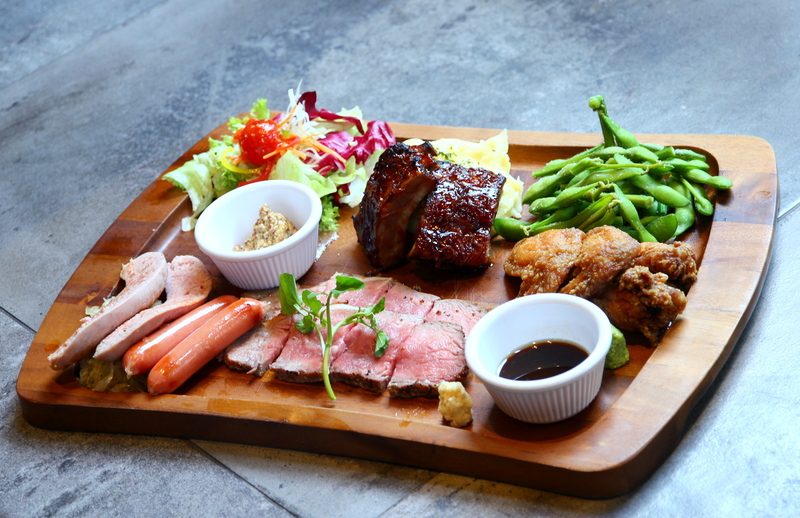 Make your reservation instantly at Ginza Lion Beer Hall here.